Known as the FTR 1200 and FTR 1200 S, the bikes, which pump out 115Nm of torque, are inspired by the championship winning FTR750 that has dominated American Flat Track since it was introduced in 2016. 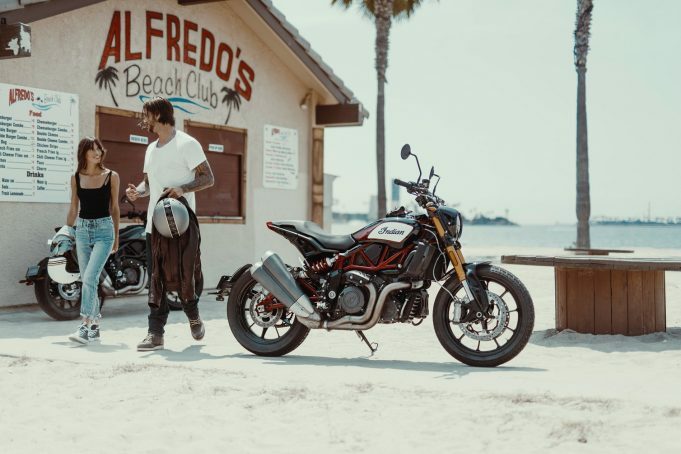 At the same time, Indian Motorcycle has confirmed the bikes, which are designed to target a wider range of riders, and also draw inspiration from the FTR1200 Custom, will arrive in Australia in the first half of 2019. The FTR 1200 and the S variant feature a trellis frame with a sporty riding position, inverted front suspension and radially mounted dual Brembo brakes. The fuel tank is located under the seat for a lower center of gravity and better weight distribution. The air box is positioned directly above the engine to optimise airflow and maximise power, while both models feature a similar rear suspension and swing-arm design as the FTR750, ensuring maximum grip and compliance on even the roughest of roads. Newly-developed Dunlop street tyres with flat track-inspired tread, a chain final drive, and ProTaper flat tracker aluminium handlebars complete the race bike look, while a host of features can be found on both models. The FTR 1200 and FTR 1200 S have full LED lighting (including a new headlight), a fast-charge USB port, anti-lock brakes (ABS) and cruise control for a comfortable ride. Additionally, the engine has a flat torque curve and plenty of low-end punch. So what makes the S different, well it gets every the FTR 1200 does, as well as fully adjustable front and rear piggy-back suspension with pre-load, compression, and rebound adjustments, and three ride modes (Sport, Standard and Rain). It also comes with a customisable Ride Command LCD touch screen with Bluetooth, lean-angle sensitive stability control, traction control (including unique intervention levels), and wheelie mitigation control. The FTR 1200 is available in Thunder Black, and will be priced from $19,995 ride away when it hits the market next year. The FTR 1200 S will come in Indian Motorcycle Red over Steel Gray or Titanium Metallic over Thunder Black Pearl, from $22,995 ride away. A special edition 2019 FTR 1200 S will also be available in a race replica paint scheme matching the iconic FTR750 race bike, which will hit the market from $23,995 ride away.